A conference titled “The Armenia-Azerbaijan Nagorno-Karabakh conflict: main obstacles and prospects of the settlement. View from Armenia and Azerbaijan” kicked off in Baku November 8. The event was opened by President of the Azerbaijan National NGO Forum Rauf Zeyni. Zeyni noted that leading NGOs, figures of culture and literature should contribute to the peace talks. He added that chairperson of Meridian NGO, journalist Susanna Jaghinyan, writer, publicist and public figure Vahe Avetyan and head of the Intra-national Liberation Movement Vahan Martirosyan were also invited to the conference. 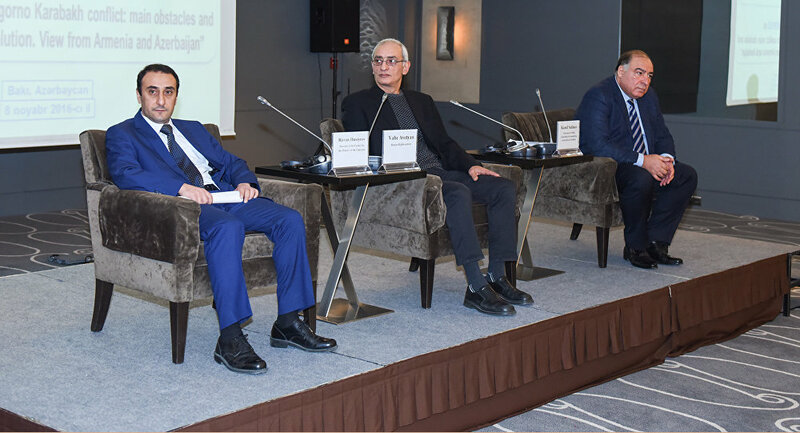 Then, a panel session on “Liberation of seven districts as a favorable condition for settlement of the Nagorno-Karabakh conflict” kicked off within the international conference. The panel session was moderated by Rizvan Huseynov, director of the Center for History of the Caucasus. Huseynov said the ongoing developments in Armenia testify to political instability in the country. Addressing the event, Vahe Avetyan said he came to Baku a week ago. “I owe you my gratitude for your hospitality. I’ve come here as both a writer and a citizen. I’ve met a few IDPs and paid respect to the Khojaly monument, bowing to the souls of the innocent. Politicians, NGO heads, and activists can come to terms at the end of this forum. There are some persons here who I’ve been friends with for years. It’s we who can solve this problem, because the younger generation is furious. First of all, cultural issues have to be solved. We don’t need international organizations. We can solve our problems on our own. Peaceable writers and NGOs certainly need to build relations. This visit is not going to be my last. I met some people from Khojaly and I got impressed. There is a huge need for mutual visits in order to achieve peace,” he said. 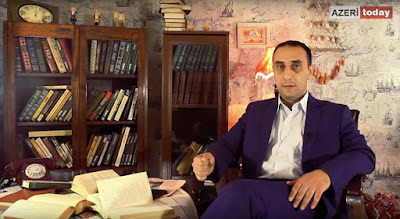 Chairman of the Monitoring of Detention Facilities Public Association, Kamil Salimov, mentioned that the occupation of Azerbaijani lands is big injustice. “In the Caucasus, whenever there is a standoff people appeal to a wise, elderly man. In our case, this figure is the UN Security Council, whose resolutions on liberation of the occupied Azerbaijani lands must be fulfilled. The granting of highest autonomy to Nagorno-Karabakh within Azerbaijan is possible,” he added. Salimov also said the seven occupied districts surrounding Nagorno-Karabakh must be freed in the first place, noting that civil society has a big role to play in achieving peace. Moderator Huseynov said Azerbaijan is interested in solving the conflict, adding that for the past 25 years the OSCE Minsk Group co-chairs have failed to come to common ground.